Daqing Oilfield Limited Company, a wholly-owned subsidiary of China National Petroleum Corporation, is a state-controlled large enterprise focusing on the exploration and development of oil and gas. Its business scope mainly includes oil and gas exploration and development, engineering and technology, engineering construction, equipment manufacturing, oilfield chemical industry, production support, oilfield services and diversified operations with a relatively complete upstream business system and comprehensive and integrated development advantages. Daqing Oilfield Limited Company has 52 sub companies with total 236, 000 employees, and 370 billion RMB total assets. In recent years, taxes and fees paid in each year have accounted for a considerable proportion of provincial and municipal taxes, providing the local market with a capacity of more than 30 billion yuan and giving full play to the role of the large state-owned enterprises in stimulating radiation, support the development of local economy and society. 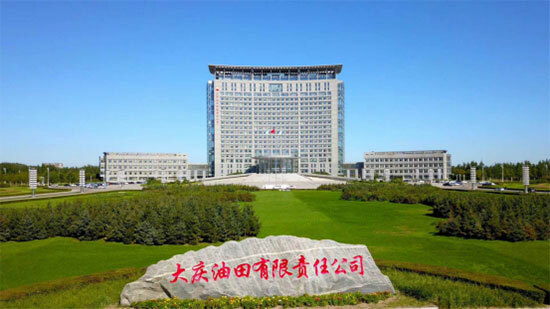 The development of Daqing Oilfield is closely related with the destiny of the nation, and the development history of Daqing is an episode full of independent pioneering quests and struggles with nature. It is since September 26, 1959; with the commercial discovery from Songji No.3 well that marks the discovery of Daqing Oilfield. Up until the early 1960s, hundreds of thousands of petroleum workers from all across the country streamed to Songliao basin, located in the northern part of China, where only wild, barren land and a bitter climate accompanied their presence. From then on, a massive and valiant campaign for prospecting petroleum has been preluded. Confronted with obstacles like severe climate and shortages of money and supplies, those hard workers, best-known and represented by “Ironman” Wang Jinxi, devoted all their might to the combat with nature. They took actions and promised that “to sacrifice 20 years of their life to get the oilfield explored and developed”, and “despite the conditions, never give up struggling”. In less than 3 years, Daqing Oilfield was successfully explored and developed, which was of great importance to China in order to rid the bad name of being deficient in oil. Since then, China has been able to guarantee supply of petroleum and the petroleum industry in China also entered a completely new stage.